It’s hard to keep track of all the scandals and investigations of the Trump Administration, and who is investigating which one, but the Qatar/ Kushner scandal is worth a review. 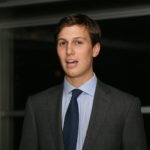 As reported in the New Yorker in March of 2018, Jared Kushner and his family were actively shopping for a loan of over a billion dollars in late 2016, and early 2017, to bail out the, now infamous building he owns on 666 Fifth Avenue. Now Reuters is reporting that the Qatari government is suddenly trying to distance itself from the bailout it gave to the Kushners back in April of 2017. Jared Kushner’s father Charles sought financing from Qatari Finance Minister Ali Sharif Al Emadi in April of 2017. Charles could not get the funding he asked for from Qatar, then, one month later, in May of 2017, Jared Kushner reportedly supported Saudi Arabia in a blockade of Qatar. This move against Qatar was a shock and a complete reversal of prior US support of Qatar. Qatar is home to Al Udeid Air Base, a key U.S. military installation, and Qatar is considered an important US ally. In April the Kushners reached a deal with an investor with ties to Qatar, and then, also in April the Trump administration told Saudi Arabia it was time to end the blockade against Qatar. Now, Reuters says Qatar is trying to distance itself from the investment deal. What could be happening to make the Qatari government suddenly distance itself from the deal that was made nearly ten months ago? Something is clearly afoot. Stay tuned.